For your child's safety and health, Mee mee introduces 100 percent pure cotton buds that are carefully made to the highest safety standards. 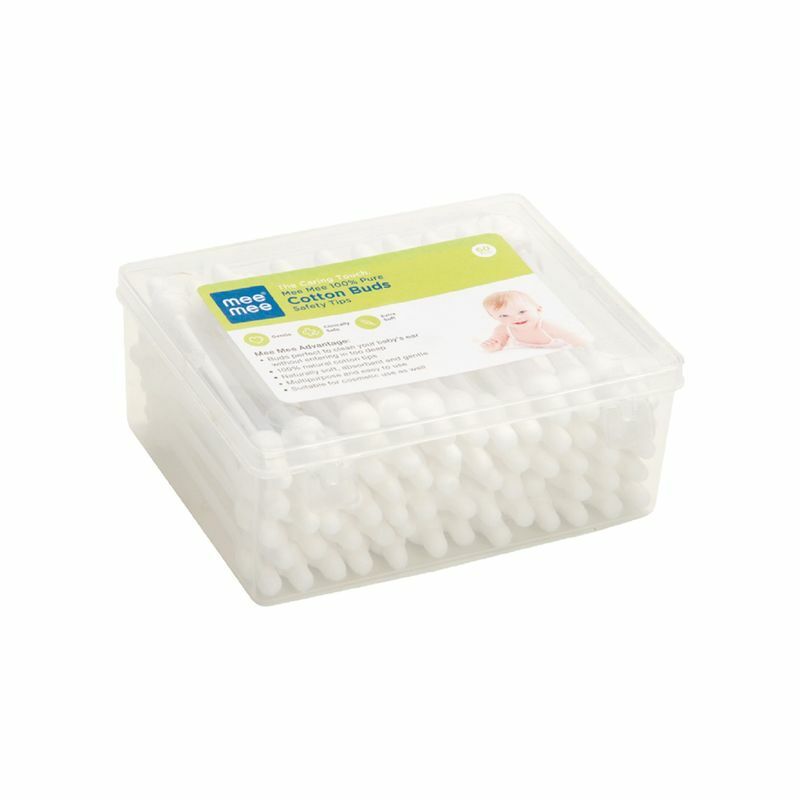 They are ideal for cosmetic use and baby care. Mee Mee's buds are specially designed to keep your baby's ears safe when cleaning and drying as they are clean, soft and gentle on the skin. Specially packed for hygiene contains 60 pieces.